Merry and Adam have uncovered “precious jewels” dating from Egypt’s ancient past. But these are troubled times in Egypt so they must be cautious of making rash, impetuous announcements. Luckily there’s still plenty to occupy them. A granite stele covered in ancient hieroglyphics, and a hidden rock-cut sanctuary are just two of the clues suggesting the solution may be within reach to one of ancient Egypt’s most perplexing mysteries. 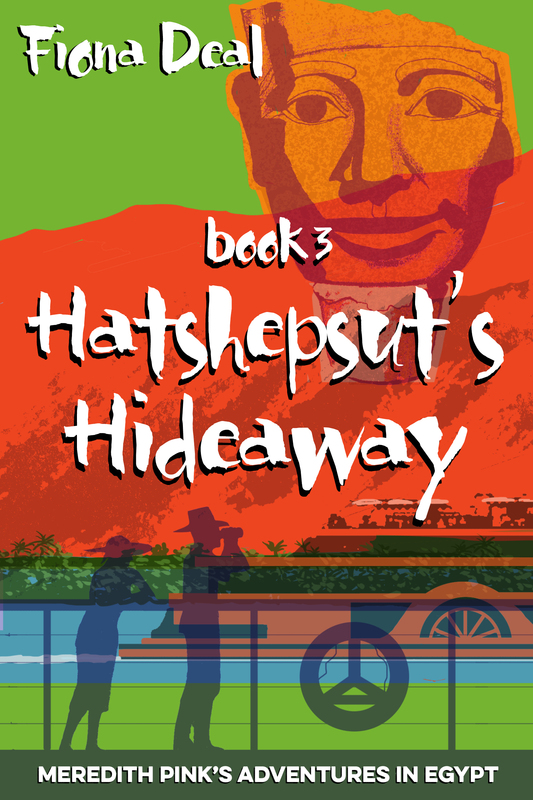 Could Merry be about to unlock a secret dating back to the days of the fabled Queen-Pharaoh Hatshepsut? Also there’s the small matter of her tourist visa, which is about to run out. Can she and Adam find a way of staying in Egypt for the long-term? And who is the blast from Adam’s past who creates such a stir when she turns up on a Nile cruise? These questions and more are answered in a thrilling adventure as Adam and Merry once more team up to crack another ancient puzzle. This story picks up where Tutankhamun’s Triumph left off. There’s another mystery, of course; this time dating a bit further back in time, towards the beginning of the glorious 18th Dynasty, when Queen Hatshepsut grabbed the throne from her stepson-nephew (yes, all very incestuous!) and planted herself on the throne as pharaoh. What a fiesty character she must have been ! The great freedom of fiction writing is being able to imagine solutions to various ancient mysteries, and make up the bits of evidence modern archaeologists are missing, while still sticking to the known facts. This book, in particular, has given me the opportunity to do just that. I hope you enjoy it.